The new easy-fit design of the Rogue Series Turbo Cover keeps the turbine spooled up, reducing turbo lag. 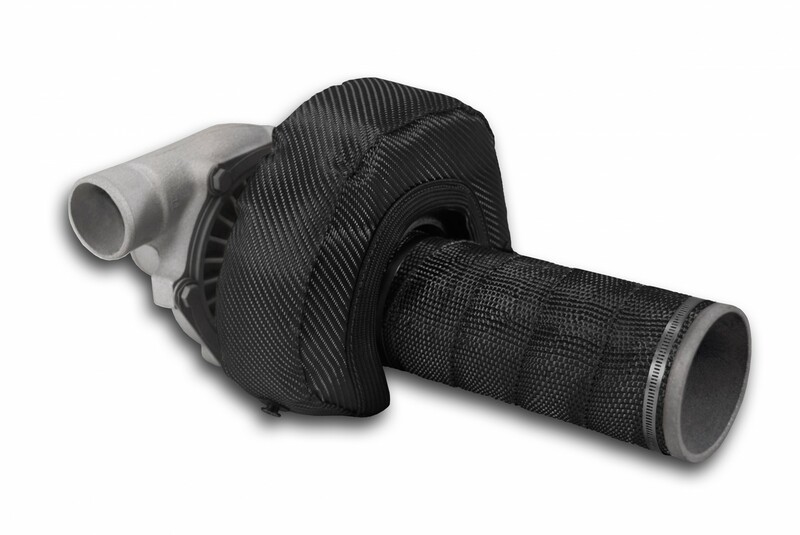 The dual-layer construction increases performance and durability, reduces under-hood temperatures, and improves horsepower and performance by maintaining temperatures inside the turbo. The Rogue Series Turbo Kit includes a Turbo Cover, one 2" x 25' roll of Rogue Series Exhaust Insulating Wrap, two 18" Snap Straps, and 10' of wire for easy installation.